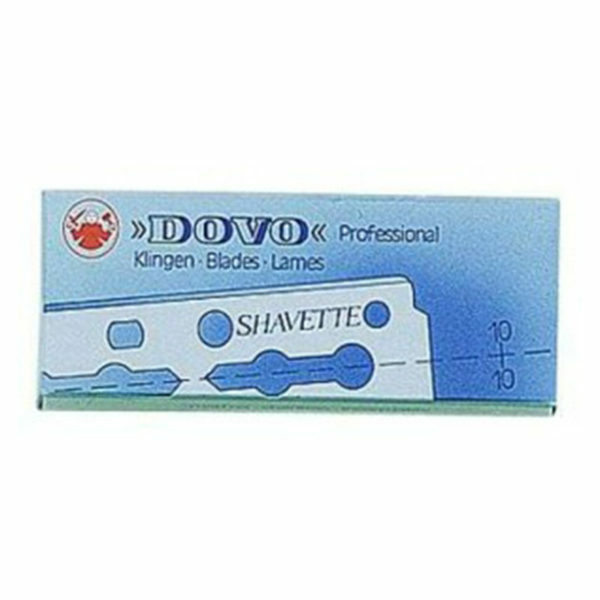 DOVO blade professional in the set of ten pieces of double-blades and respective length of 6.6 cm. 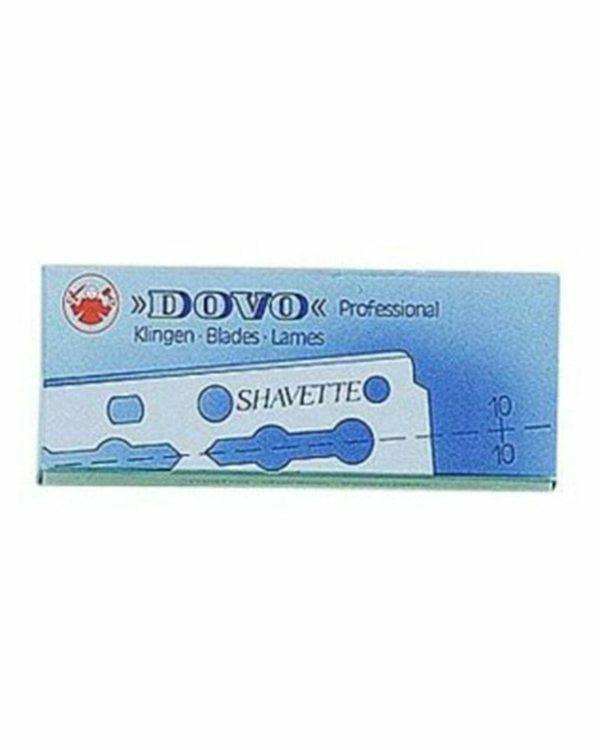 Suitable for shavettes of the well-known straight razor manufacturer Solinger. The platin-covered and stainless special blades have to be divided before usage. Making a total of twenty cutting edges. Prerequisite for the usage of the replacement blades is a long blade holder. Delivered in a handy collectable box. Should be kept at a safe, dry and well-aired place.